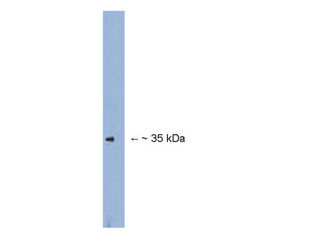 FBXO2 antibody LS-C152804 is an unconjugated rabbit polyclonal antibody to mouse FBXO2. Validated for WB. Western blot: 1:5000-1:10000 on mouse brain lysate. Optimal working dilutions must be determined by end user. WB: Anti-Fbx2 (FBX2, RBX-100UL) Western blot on mouse brain lysate.